Adding farmhouse tiles to your home is a great way to add interest and texture without going overboard and regretting your decision. Their classic look will last for years. 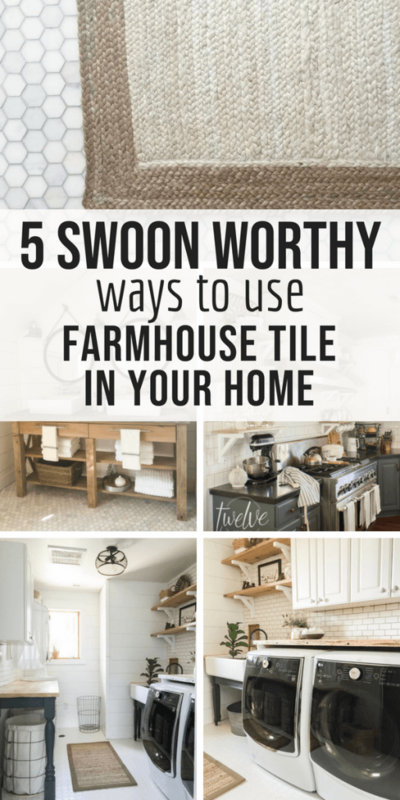 Lets talk about some amazingly swoon worthy ways I have used farmhouse tiles in my home. Many of you may be here for the first time, and many of you may have been here before. But, I wanted to introduce myself a bit. 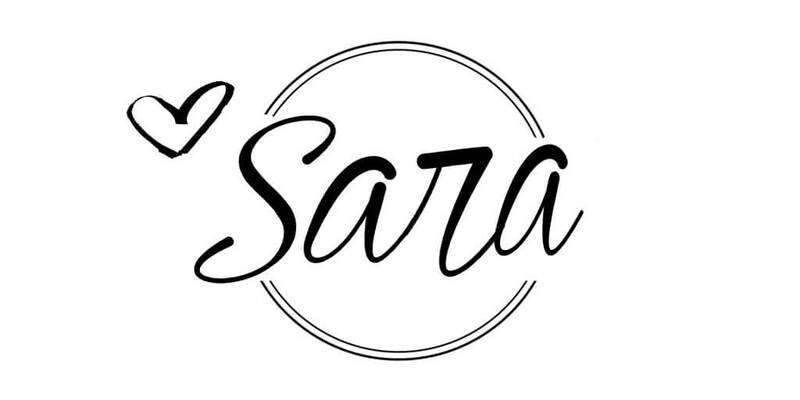 Hi, I am Sara a mom of 4 kids and a German Shepherd dog. 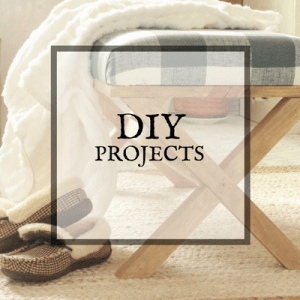 My husband and I live in a small town with our kids and I am often found working on a DIY projects, room remodel, or simply redecorating or redesigning a room. About 10 years ago we built our first home and did most of the work ourselves. As the years went on, tastes change and those things we chose when built needed just a bit of updating. Over the past few years we have spent considerable time creating dreamy spaces that we can escape to and enjoy. As an introvert, having a cozy spot to escape to is very ideal. As we have transformed our spaces, I have learned a lot about tile, and what works best where. 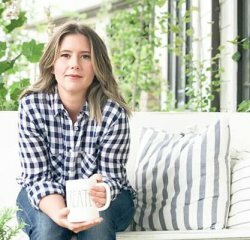 I have also learned the value of using classic, long lasting materials that will last through trends and still look just as beautiful. One of the first rooms we tackled a few years ago was our laundry room. This space was never really finished to begin with. It had concrete floors, and a poorly planned out room. One thing I wanted to do was add some farmhouse tiles to the space. 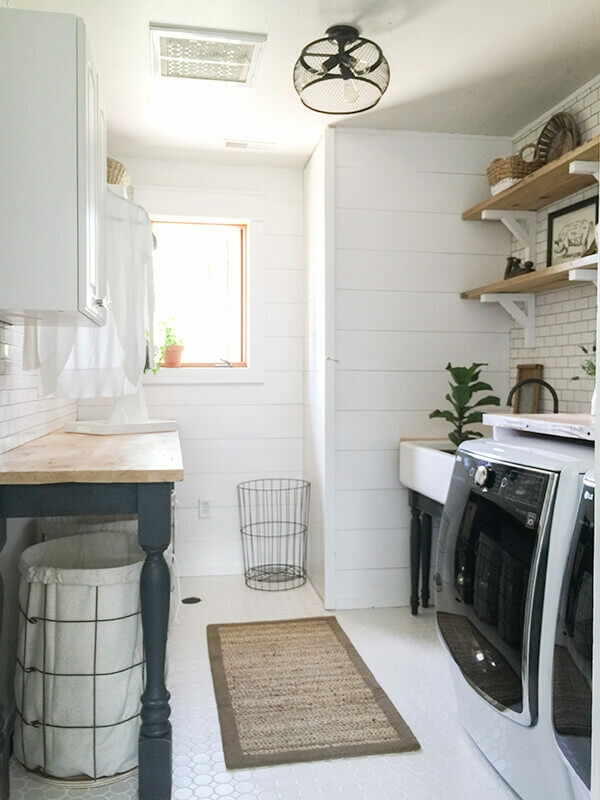 When we designed our laundry room, I really wanted a bright space, full of character that would last through kids, dogs, and a lot of laundry. I wanted a tile floor that was light, but also had some character to it and I definitely did not want the builder grade tile that gets thrown in most tract homes. 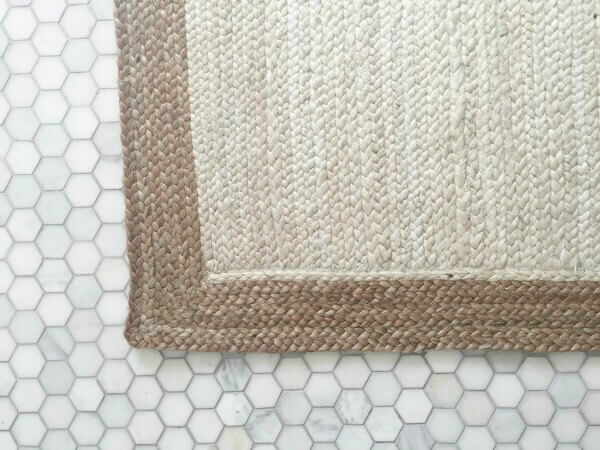 We used a white vintage hex tile on our floor. The mosaic tile look adds dimension and texture to an otherwise white floor. This is what I wanted. We also added shiplap to the walls to add more interest and texture. Then we used a small white subway tile on the walls as a backsplash behind the laundry sink, washer and dryer, and on the opposite wall where we fold laundry. That wall was done more for consistency in the design than for functionality. We used a light gray grout to give the farmhouse tiles a bit more of a pop. Both tiles we used in our laundry room were inexpensive as well as classic in style. 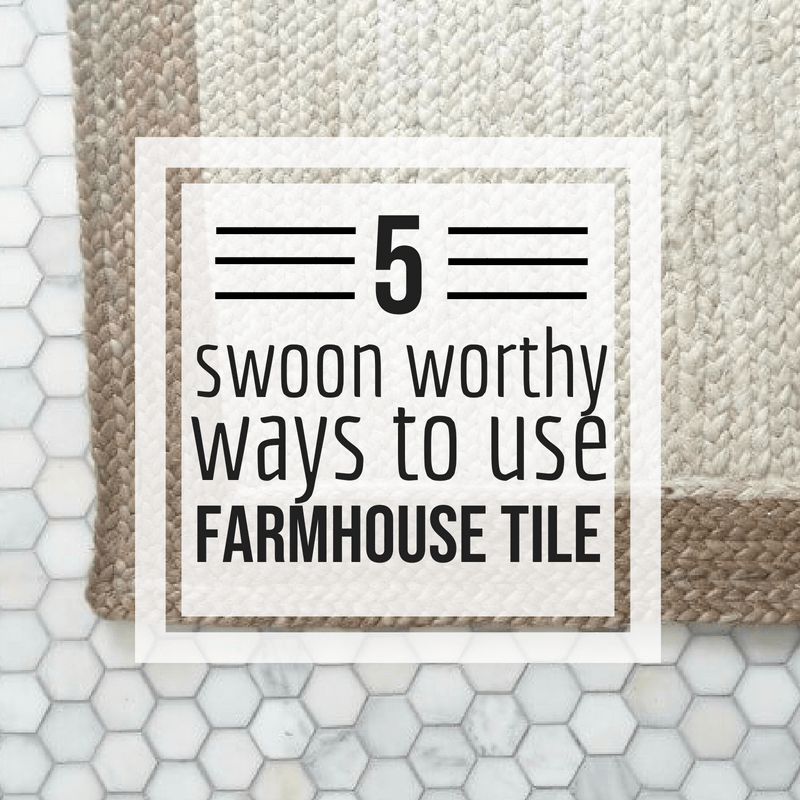 That is one thing about farmhouse tiles you can be a fan of. I know I am! Using these 2 tiles kept us way under budget, and that is always a wonderful thing. 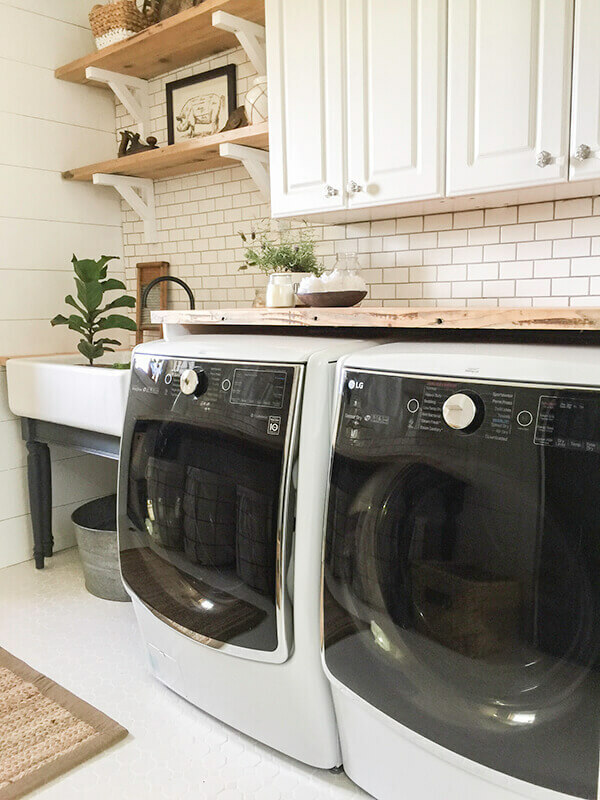 You can see the full laundry room remodel here! And check out how much we loved it 1 year later! When it was time to gut our dark slate covered bathroom, I knew I wanted something soft and soothing to take its place. We decided to work with a marble hex tile for the floor. This mosaic tile was the base for the whole rest of the space. I made sure to choose something that was classic, just like we did in the laundry room. We had made the mistake when we built and used something that was very trendy. I ended up hating it later on. As one that often changes her mind, I have to put my money where my mouth is. I spent hours tearing out the old tile with the help of my husband. I also spent hours installing the new tile floor as well as the farmhouse shower tiles. I opted for a larger subway tile for the shower. I wanted something easy to clean and something bright. Our shower before was very dark. And this is the best part…this tile is so inexpensive. I wish I could say that about our floor tile…but no, that is where we splurged a bit. But, oh my gosh, if you want to give your room instant character and farmhouse appeal, this is the way to do it. Hex mosaic tiles are so very classic and have been around for so long, even if the trends change, this floor tile will stay current. I learned a lot in my bathroom renovation. I learned that a little girl like me can tile an entire shower and cut the tiles too! This was the moment I realized I could do it all myself. In past projects, I had always done A LOT of work in the rooms, but I always left the tile measuring and cutting to my husband. I was just unsure of my abilities. But, I quickly learned what I was capable of, and it has helped me tremendously in other tile projects I have completed. To see the full bathroom renovation, click here! Speaking of other tile jobs, the last one I want to talk about is my kitchen back splash. I have gotten a lot of flack on this project. Many people think I should have left it as is. I never should have painted the cabinets nor taken out my previous back splash. And what I have always said to naysayers is….create what makes you happy. I create spaces for myself, not for the approval of others. It is an absolute treat when people are fans of my spaces, but it does not make me who I am or what I love. So, I feel that I do not need to live in a house with aspects I do not love, just because some people do not agree with my decision. It is a difficult pill to swallow, I will say that. So many harsh words…but that is what you need to be prepared for if you are going to put yourself out there. I then took 4.5 in by 4.5 in square tiles from The Home Depot and tiled them in a brick design all the way up my kitchen ceiling. I took the tile above my other cabinets giving the space a more finished look. I love this look. I added open shelves to the tiled wall, and have never been happier. This tile was an incredible deal as well. This is a commercial tile, that is mainly considered a utility tile or best suited for a public restroom. I wanted to prove that you can use a very simple tile, and just by using a unique pattern installation, you can create something beautiful. 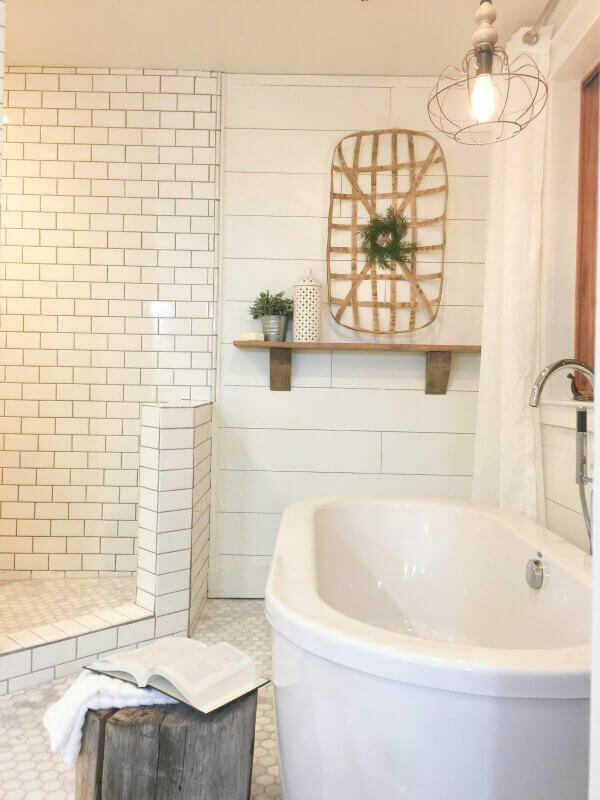 This is a more modern farmhouse tile installation and I am in love with it. Take it or leave it, it makes me happy! Now, here comes a brag moment. I did all the work in my kitchen. I tore out our old back splash, painted the cabinets, and installed all the tile, including cutting and grouting. This was mainly because my husband did not agree with my decision and I told him I didn’t need his help. HAHA! I really had to put my money where my mouth was. 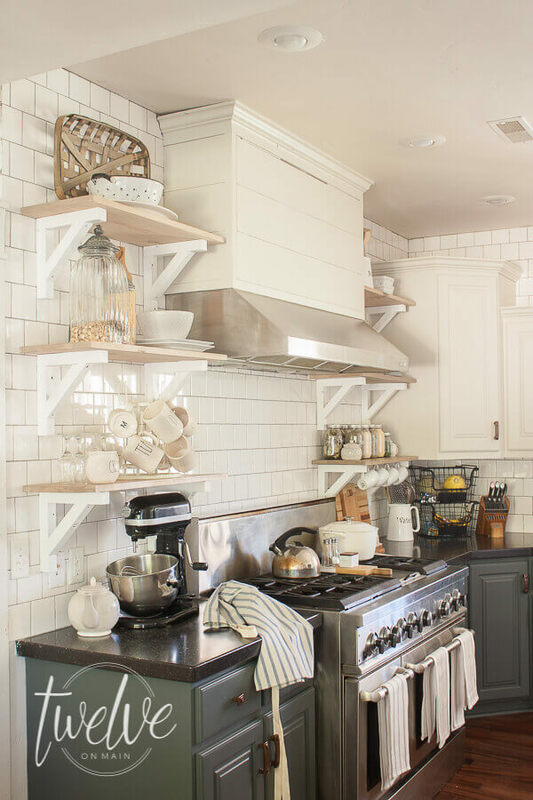 What I love about this farmhouse tile backsplash is that it does not compete, but it also stands out on its own. We grouted it with a slightly darker gray grout, which allows each tile to stand out and allow the pattern to be seen more. 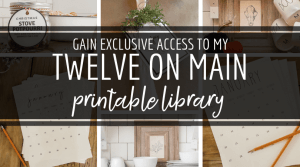 You can see more of my kitchen remodel here! Just click here! Now, I may not be an expert, but we very thoughtfully chose the tiles for our bathroom, laundry room, and kitchen. I wanted something that would be long lasting, classic, but also something interesting and eye catching. 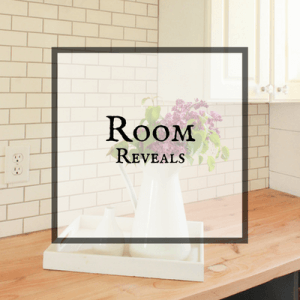 In every one of our projects when considering what tile to use, we were able to get exactly what we wanted within and sometimes way below our budget. My goal in writing this post was in hopes that it would help or inspire even just one person. Sometimes these kinds of decisions can be hard and confusing, Often choosing the more classic features will reward you in the long run. You will not go wrong if you choose one of them! I hope you enjoy stopping by here. I truly do appreciate each and every one of my readers. I feel blessed everyday to have this as my job. I cannot imagine anything else! 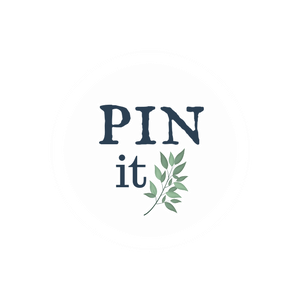 « Summertime Craft Supply Giveaway! This is my first time commenting, though I’ve read your blog for a long time! I just wanted to ask, how bad is the tile removal? I’ve tiled before and feel like that’s something I can handle, but it’s actually demoing out the old tile that keeps me from changing out the builder basic tile in our house. Did you need special equipment to do it? Is there thin set underneath that needs to be scraped out and how do you do that? Maybe an idea for a follow up post if you haven’t covered all this before. Thanks so much for the inspiration, your spaces are beautiful! Hi there! Thanks for stopping by! The tile removal was definitely not fun, but its doable! We used a jackhammer to take out the tiles, since they were large slate tiles. I think it depends on the installation and what the subfloor is. Ours was on a wood subfloor which is easier than if it is appleid directly to concrete(happened to my sister).